As Oakland personal injury attorneys, the Brod Law Firm uses this blog to educate and inform Northern Californians about the law and victim’s rights. First and foremost, we hope to remind residents to exercise caution in preventing accidents. Additionally, we seek to educate victims to allow them to protect their rights if they are harmed in an automobile accident in Oakland or otherwise injured due to the actions of others. We often use area news reports to provide context to our comments and the nature of our field means these stories are usually reports of accidents and other tragedies. Although this note does have a serious message, it is inspired by a fun take on safety in the Oakland Tribune. 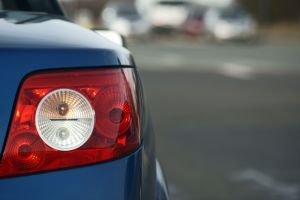 A Tribune columnist and his readers have been championing a movement to counteract a frequent pet peeve – drivers who neglect to use their turn signals. The column calls for a movement akin to the “Click it or Ticket” campaign, complete with amusing bumper-sticker slogans reminding drivers to signal before making a turn or lane shift. We applaud this column for addressing a habit that not only annoys other drivers but also places every driver at risk. California’s vehicle code provides that drivers must ensure movement is safe and signal their intent before turning when another vehicle may be impacted by the movement. The driver’s manual reiterates the importance of using signals for a lane change, a circumstance in which many drivers neglect the precaution. There appears to be little data on how many accidents are caused by a driver’s failure to signal. However, an interesting study by the American Transportation Institute reports that one of the best predictors of future accidents involving truck drivers was a prior citation for failure to signal. The study found the likelihood of a future crash increased by a whopping 97 percent when the driver had previously been convicted of a signal-related offense, making it the top predictor of future collisions. A recent court decision dismissed a ticket for failure to signal where no other vehicles were present to be impacted by the action. This ruling was based on a close reading of several provisions of the California vehicle code. As Northern California accident attorneys, we represent clients in civil court and we are not involved directly in traffic citation hearings. However, as victim’s rights lawyers we see the impact from the failure to signal and from other negligent driving habits. In injury cases brought in civil court, factors like the failure to signal can weigh heavily in a verdict. If a driver is injured as a result of another driver’s failure to signal, that fact can help the victim establish fault and recover civil damages for their injuries. An argument that the driver didn’t believe any other vehicles would be impacted by the failure to signal is unlikely to prevail when that belief is proven false by a subsequent crash. We urge California driver’s to use their turn signals. It is a courtesy, but it is also a matter of safety. If you have been injured as a result of another driver’s failure to signal, please contact our Oakland car accident law firm for a free consultation to discuss your legal rights.